When a young Emanuele Bergagnini (BA Economics ’87, BA Math ‘89) arrived at York University, he originally planned to become an engineer – as his father had. For his father, Sergio, being an industrial and aeronautical engineer had been a great career choice. But as his experience at York unfolded, Emanuele was introduced to different options and career paths which helped open his mind and find his own calling. Today, Emanuele is Senior Client Portfolio Manager for the Growth Equities Investment Team, and Senior Quantitative Analyst at OppenheimerFunds in New York City, in the heart of the global financial industry. York was indeed a different, and a highly formative time for Emanuele. At first he did pursue engineering, and as an involved member of Calumet College he made many new friends and enjoyed playing torch hockey and learning to play bridge. But then a mandatory economics course (something he would have skipped otherwise) changed the course of his student career, and enabled him to find the field where he would eventually thrive. “By far my best experience at York was spending time in Professor Jim Laxer’s Political Economy of Labor course. I had the opportunity to get to know Jim personally in that course – a fantastic man, author and professor. It was a class that opened my mind up to consider other areas and professions that I wouldn’t have contemplated before, such as finance” says Emanuele. After taking the Canadian Securities Course during his reading week one semester, he was ‘hooked’ on the science of high finance. Emanuele went on to earn degrees in both Economics and Mathematics at York, while continuing his investment focus by taking the Canadian Options and Futures course as well, which laid the foundation for a career in his chosen field. After graduation, Emanuele received his Chartered Financial Analyst (CFA) designation, and then earned his MBA from the Ivey School of Business at University of Western Ontario. Emanuele started his career at Dominion Securities (now part of the Royal Bank of Canada) followed by nine fruitful years as Senior Vice President at North Trust Global Advisors in Toronto. 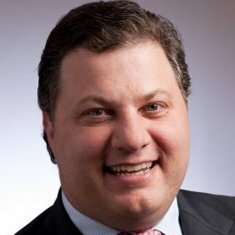 Moving to New York City in 2000, Emanuele had significant success at privately-owned Windham Capital Management, where he held progressive positions and became Senior Vice President. Emanuele now serves as Senior Client Portfolio Manager and Quantitative Analyst for the Oppenheimer Rising Dividend Fund. His team’s responsibilities include quantitative research, technical analysis, derivatives and portfolio risk analysis. With over 26 years of industry experience in the financial field, Emanuele continues to be grateful for all his academic experiences, and especially for the formative years he spent at York University, which put him on the path to a fulfilling career in a field that continues to provide continual appeal, interest and challenge.